1. 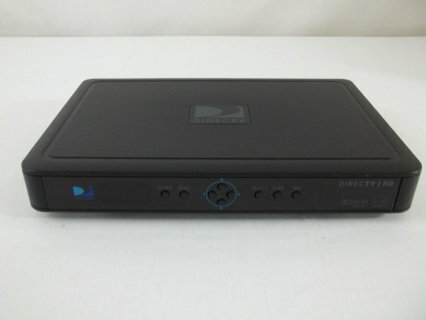 Requires an Internet-connected Genie HD DVR (model HR34 or higher) connected to a primary television, a Wireless Genie Mini (model C41 or higher) in each additional room, and a Wireless Video Bridge. 2. Not available on primary television, which must be connected to Genie HD DVR. Actual range of wireless signal varies and may be affected by several factors including, but not limited to: home construction materials, obstructions, electromagnetic interference and other environmental factors. Connections of Wireless Genie Mini to TV and power source are required. For residential use in a single household only. Actual recording capacity depends on the type of programming being recorded. HD DVR Model HR22 or later required for maximum recording capacity. 1Remote control requires a Wi-Fi connection to your home network. Remote control requires DIRECTV PLUS HD DVR (models HR20, HR21, HR22, HR23, HR24), DIRECTV PLUS DVR model R22, or DIRECTV HD Receiver (models H21, H23, H24, H25) connected to your home broadband Internet Network. 2DVR Scheduler requires Internet access via computer or cell phone to directv.com. Remote connections may vary. In rare instances, scheduled recording(s) may not be recognized. Requires DIRECTV Plus DVR (models R15, R16, R22), DIRECTV Plus HD DVR (models HR20, HR21, HR22, HR23, HR24) or TiVo® Series 2 receivers with 6.4a software.